United States Associate Supreme Court Justice Sonia Sotomayor spoke at the University of Alaska Fairbanks Sunday. Sotomayor, the first Latina appointed the nation’s highest court, addressed a capacity audience in Fairbanks. Sonia Sotomayor shared a very human perspective on the Supreme Court. The 62-year-old traced her path to the nation’s highest court, from her New York City upbringing, where she said she took charge of her life at a young after being diagnosed with diabetes and given an uncertain health future. ”I understood then that I had to live every minute of my life as fully as I could,” Sotomayor said. Sotomayor went on to become an outstanding student, graduating from Princeton and Yale, and working her way through the legal system, ultimately being appointed to the Supreme Court by President Obama in 2009. She said she initially felt like an outsider, but learned from other justices, including John Paul Stevens who she said emphasized the importance of speaking out. The opposite of a stern judge, Sotomayor spent the hour and half UAF Summer Sessions event walking around the Davis Concert Hall, answering questions, while shaking hands and sometimes hugging and taking pictures with audience members. 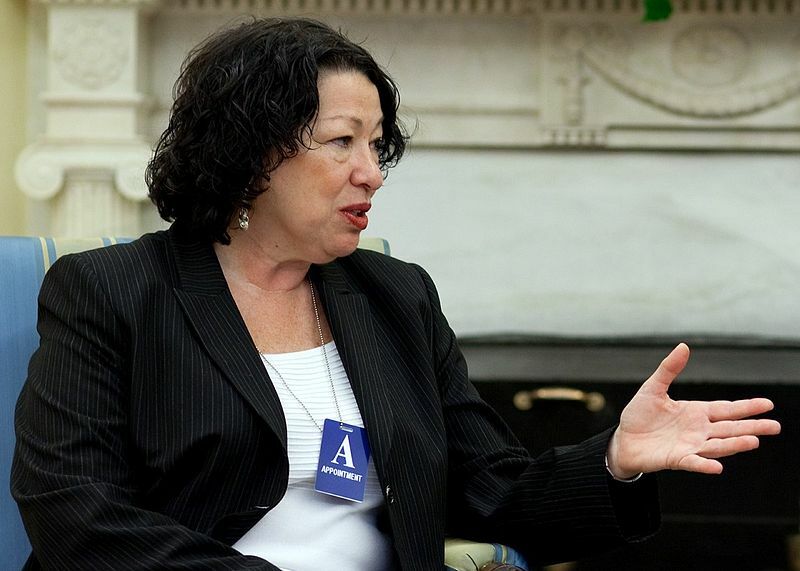 Sotomayor fielded a range of questions submitted over the summer. Asked what the most important attribute is for a high court justice, Sotomayor singled out curiosity. Sotomayor was also asked about her experience as a woman on the male dominated high court. She reiterated a story told to her by fellow justice Ruth Bader Ginsberg. Sotomayor emphasized the importance of women projecting their voice like an actor or singer, and being assertive, noting she’s considered tough. Asked to give advice to Alaska Native students entering university, Justice Sotomayor pointed to the significance of shared values, saying there is nothing innately wrong with the majority. Justice Sotomayor also met with students while at UAF.